The TakingCareofGrandma.com blogiversary is right around the corner. If you know me, you know I like to make a huge deal out of things. This year, the goal of my month-long blog party is to inspire millennial caregivers and shine a light on millennials who care. Today, I’m thrilled to announce the TCG Blogiversary party guests! During the month of May, I will be introducing you to some millennial movers and shakers that also happen to be present or past caregivers. Check out the blogiversary page to see who will be appearing at the TCG Blogiversary Party! In a few weeks, I will introduce you to my esteemed party guests. It has been an amazing opportunity getting to know them better and I know you will be inspired by their stories! 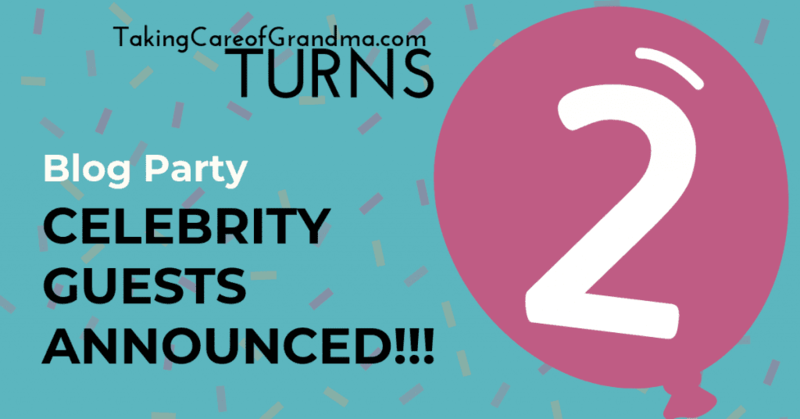 Be sure and log on to the party right here at TakingCareofGrandma.com on Thursday, May 23, when we will premiere videos featuring real life stories and practical advice from some millennial caregiving superstars!